Baby Brigham passed away early Tuesday morning. Can I talk about anything else? I got a call early Tuesday morning and walked about campus later that day wondering why people were there, living their normal lives, not affected by this. This year has been a year of bad news. Some you know about and some you don't. But the kind of bad news that comes in through your ears and shoots through your whole body all the way into your toes and the ends of your finger tips, the kind of bad news you feel, the kind that breaks your heart. The kind you wish you could take from everyone you love. The kind that makes you feel guilty for how little you can handle and how strong they are. Brigham is the light of this year, truly. I believe so fully in God and Christ and our life after this life. I know exactly where Brigham is and what work he is doing. I know why he came to this earth...why all of us come. I know Brigham will comfort his mother throughout her life. I know Brigham changed people's lives, mine included. I know Christ's atonement isn't only for remission but for renewal. I know that families are together always. And forever. I love you baby Brigham. "Despair is suffering without meaning." -Viktor Frankl. 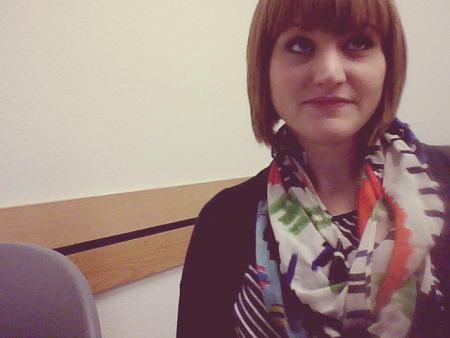 I am 23 years and 11 days old, taking pictures of myself in class and wearing my birthday scarf. Little lion man = mumford&sons song (can't get enough of them) but really Brigham Paul. Little lion man is a fighter. Joe's latest update "Things are going really good right now for Brigham! His heart rate is around 160 to 180, he is still intubated but initiating most breaths on his own, his kidney function is improving, his swelling is way down (he opened his eyes for the first time in 3 days), and his color and perfusion are greatly improved. The stent placement into his PDA was postponed from Friday to tomorrow or Tuesday because of his poor kidney function. The dye used to place the stent is excreted through his kidneys. It's been great to see Brig more active, alert and pinkish. That boy amazes me, he consistently fights back when odds seem stacked against him. I'm convinced it is due to his strength, good medical care, the faith of all his supporters, and ultimately the Lords will. My wife and I appreciate you all so much." The stent placement was done today and as far as I've heard Brig did great. I got to spend my birthday with him. My birthday breakfast was hospital eggs. And my birthday weekend was spent with Ryah Jane, Aubs, Bryners, Aevy-Love and Deden. I wouldn't have had it any other way (except maybe with Lando along for the trip) I am so glad I got to meet him. He has a mighty spirit and lots of fight in that 7 pound body. I love you baby. So much. This semester is kicking my trash. I am going to tell you everything homework related I did yesterday okay? Wrote a 500 word annotation on Hereditary Talent and Character by Francis Galton, watched 8 power points on various volcanoes and put the information into an excel sheet, wrote an outline for chapter 9 of my Adult Development book, studied two study guides, took TWO tests, finished up reading an extra long research article, outlined a bunch of Old Testament verses, do-re-mi'd it up studying for my music test and took a reading quiz. AND went to school, work, rehearsal, and did clean checks. 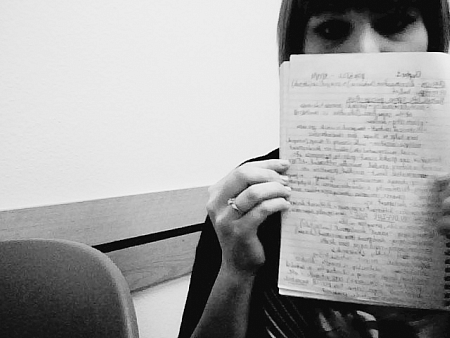 I like being a student. But not today okay?